It takes many years and many millions in investment to develop new drugs and bring them to market. There’s a high rate of failure and many new drugs never make it through trials or the approval process. In the US alone, it’s estimated around $2.7 billion is spent on drug discovery activities for every drug that makes it to market, but nine in every ten never get that far. Improving efficiencies in this area would represent a colossal cost saving, and help the industry develop drugs at a faster rate. Could machine intelligence help reduce these costs, boost success rates and perhaps even improve drug efficacy? There’s still huge potential for new drugs to be developed from the vast number of uninvestigated compounds that could potentially yield medical benefits. Trying to understand the properties of every conceivable chemical involves processing colossal datasets – a task on a scale that’s best managed by machines rather than humans. Artificial Intelligence (AI) can help predict how some of these molecular compounds might behave in the body, helping design new possibilities for their use as drugs. Big data analysis using AI can analyse biologic interactions faster and yield new insights. Compounds can be synthesised, tested and results fed back into AI-driven systems to deliver faster design cycles. Until the advent of AI technology, the drug discovery process had changed little in decades. Work in this field tends to be labour-intensive and manual, and is highly dependent on the expertise of those working on a project. AI represents a major change to the way drugs are developed, with the potential to make it less dependent on human manual labour. Research and development into new drugs have historically been a manual and laborious process. However, the last 10 years has seen an exponential increase in AI adoption to help the drug development. AI offers great potential to shorten all stages of the development cycle for new drugs. 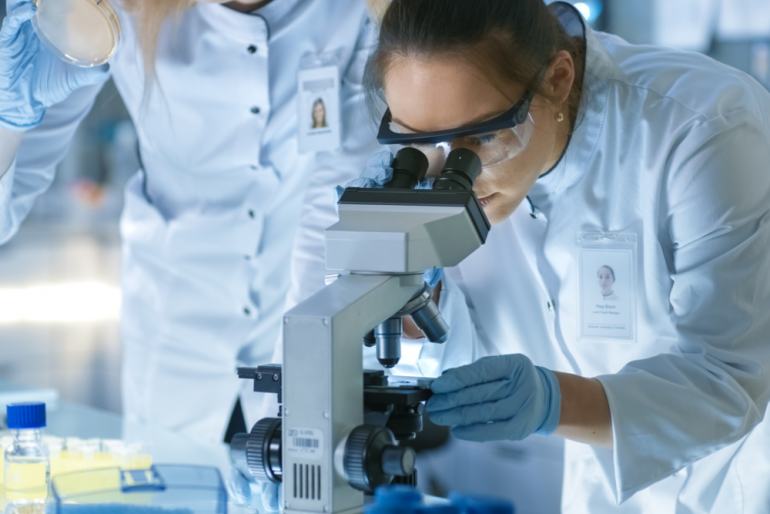 One organisation working in the field of drug discovery, Benevolent AI, used the technology to speed up the early stages of clinical testing. AI is used for tasks such as analysing trial data and is estimated to speed up the process by around 50%. Benevolent AI also uses AI for lead optimisation, helping it select which compounds may make effective drugs. The company is able to make more discerning selections for which compounds to develop, and using AI compounds can be made and tested in only a third of the normal timeframe. One surprising application of AI in the field of drug discovery is the use of this technology to ‘mine’ existing scientific research. Using natural language processing, AI is being used to scour past findings to make new connections and possibly yield new discoveries based on existing knowledge. It necessitates a whole new level of language processing far above mere keyword search. Companies working in this area are developing new algorithms to analyse huge bodies of research in particular fields much faster than the normal laborious manual process. There’s already a colossal body of research in the area of life sciences, even when broken down into a specific focus of research. Most of this work is unstructured, and this body of knowledge is only growing over time. This makes AI an essential tool to really master the available information within a feasible timescale and keep ahead of the most recent developments. AI potentially steals a march on human scientists, who can only be expected to keep on top of a certain volume of research. In the US, the FDA recently gave the green light to pharma companies to use artificial intelligence in the drug development process. Nimble language translation is a key component of this content mining process. Although much of the body of research is written in English, the international language of science, not all of those working in the field speak it. And with China leading the way in AI drug discovery, translation is an essential part of working effectively to mine data. Like many other areas of innovation, the potential of this field is still vulnerable to labour shortages. Although AI can help do some of the heavy lifting, it’s still essential for there to be skilled humans involved in the process. 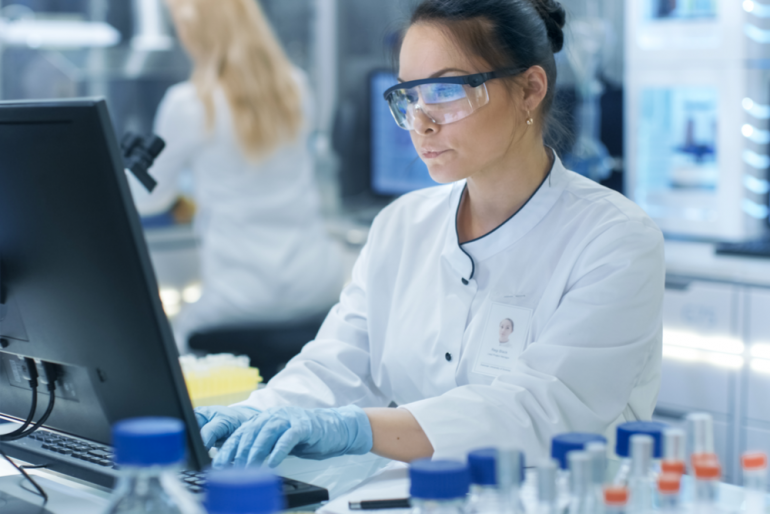 There’s potential for huge growth in the application of AI in drug development provided enough skilled people are available to support the expansion of work in the field. And despite the huge potential for positive developments, people need to ask the right questions and apply the technology correctly. It’s not just untested compounds that AI could help find a therapeutic use for. These approaches could potentially help identify new uses for existing drugs. AI could also help tailor therapies more closely to specific patients based on their genetic makeup. There’s a whole range of exciting possibilities to develop new drugs as well as to improve the way we use ones we already have, and improve how medications are given. Yet these developments show how the gulf between best practice and patients’ lived experience is growing ever-wider. China may be leading the way in some areas of AI research but there’s a big shortage of healthcare workers across the country and many Chinese patients can’t access the healthcare they need. In many parts of the world affordability of even basic health services is sorely lacking. Whilst AI may help medicine reach stratospheric new heights of perfection, the fact remains that many people don’t even have access to the services they need. Perhaps the most significant development AI can deliver is to help reduce healthcare costs and improve access in order to better serve the many, not just a rich few. Why Isn’t the Healthcare Industry Adopting AI More Quickly?